This may come as a surprise, but some people really hate spending money on apps. They're willing to deal with banner ads, pop-ups, videos, and any number of intrusions before approaching a button in the Play Store with the letters b, u, or y. Amazon figures there's money to be made off these folks, and Amazon Underground is its effort to do so. Now the retailer is expanding the service to Italy, Spain, and fourteen other parts of Europe. 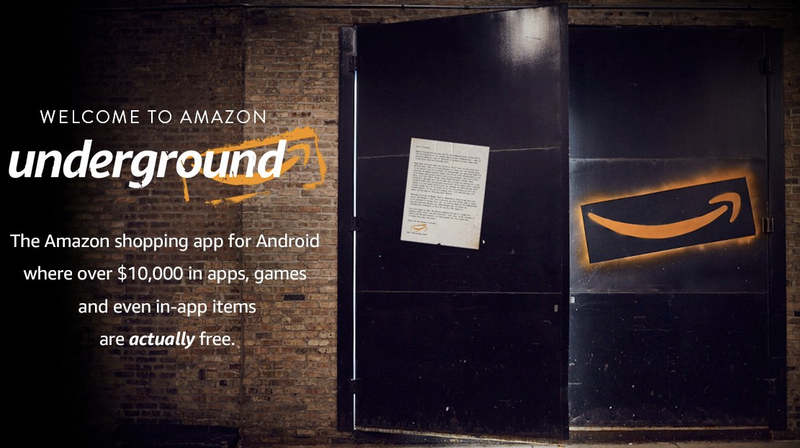 Amazon Underground gives Android users access to over 1,500 apps and games that would otherwise cost money. Even the in-app purchases are free. In return, Amazon pays developers .2 cents for every minute someone spends using their app. Yes, that means your usage is being monitored, but people who love free apps and services have accepted this trade-off for a long time now. Head to amazon.com/underground to get started.